Apple blocked Cydia Impactor, yet Saurik was able to bypass it and release an update. However, users are now facing another error called “progress.hpp:87 ” while signing IPA files. 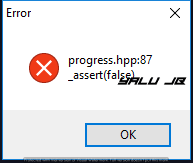 What does “progress.hpp:87” error signify? Signing issues with Cydia Impactor continue to plague users with no end in sight. After yesterday’s “maxQuantity error” fiasco, users are now reporting another weird error with the latest update (0.9.44). The progress.hpp:87 error doesn’t relate to anything whatsoever and the short error message doesn’t help things either. According to me, it indicates an issue with the pre-existing certificates on your device. Once you revoke them, you can start signing IPA files without errors or glitches. However, the latest version of Cydia Impactor doesn’t revoke certificates properly. To fix this issue, you can grab the older version and then use it for certificate revocation. Step 1 Download the older version of Cydia Impactor (0.9.43) below for your operating system. Step 2 Extract its contents to any location on your computer and launch it. I recommend transferring its contents to a folder on your desktop for quick access later. Step 3 Connect your iOS device to your computer and ensure the tool recognizes it. Step 4 Click on XCode and then press the Revoke Certificates button. Step 5 Go back to the latest version of Impactor (0.9.44) and sideload the required IPA file with it. You can download the latest version from this link. This fix works on all devices and firmware versions. If you are still facing issues while signing, just leave a comment below. Hopefully, Saurik will release an update that will fix the broken “revoke certificates” option. Saurik is currently down with fever and, hence, this update could take a while before we get our hands on it. For more errors and fixes, follow us on Twitter and Facebook. Ok, so i followed the steps and i cant revoke the certificate. I downloaded a older version of impactor and i was still unable to revoke the certificate. i get both the ssl error and the 87 false error. so theres no fix for those errors at the moment? Yes, revokes are not working on Windows/Linux. If you have a Mac, you won’t run into any of these errors. That tool looks very sketchy, though. when you log into superimpactor do you use your app specific password or use your itunes login info? You need to use your Apple ID credentials (iTunes information). is there any other way to revoke certificate without using cydia impactor? You can use the latest version of Impactor here. you cant revoke on 0.43 now since the 160 error code, so how can you revoke on the patched impactor? Revoke function doesn’t work on the patched version. Have been using whatsap on my IPAD for months not till 2 days ago i start getting this error http-win.cpp:160 from impactor, i was about to re activate the whatsap again but the error keep coming at me, I’ve tried all possible option from google, done this too and it won’t work still… Help please!!!!!!!!!!!! Is there a fix? I have a IOS version 10.1.1 and I went back to 0.9.43 Cydia Impactor and tried to Revoke Certificate but it only led to another error, “http-win.cpp:160 Peer certificate cannot be authenticated with given certificates SSL certificate problem: self signed certificate in certificate chain”. So far I have tried revoking certificate on 0.9.43 and 0.9.44, none of these versions will allow me to Revoke Certificate, or reinstall Yalu. Please reply immediately. Which app are you trying to install? Is there a fix? I have a IOS version 11.2.6 and I went back to 0.9.43 Cydia Impactor and tried to Revoke Certificate but it only led to another error, “http-win.cpp:160 Peer certificate cannot be authenticated with given certificates SSL certificate problem: self signed certificate in certificate chain”. So far I have tried revoking certificate on 0.9.43 and 0.9.44, none of these versions will allow me to Revoke Certificate, or reinstall Yalu. Please reply immediately. You can reinstall Yalu using AppValley. You can use AppValley or switch to a Mac. Read this tutorial. Same issue here. ios 10.3.3 Impactor was loading Kodi perfectly until yesterday and now I have “win.cpp:160″certificate error when trying to load it and when I try to revoke certificate “progress.hpp:87 ” error. So I went back to 0.9.43, but when I click “Revoke Certificates”, it gives me another error http-win.cpp:160. I just want to re-jailbreak my device. Hello, when I open .43 the cpp:160 error still comes up when i try to revoke. WHat shall I do? when i tried to revoke with 9.43 version, after putting my apple account, appeared http-win.cpp:160 again, cannot revoke it…. That’s because Apple’s signing server is down right now. Wait and it will be back up soon. Are you getting the cpp:160 error as well? is still Apple’s signing server down ? No, it’s been fixed. Read this tutorial. When I try doing anything, revoking certificates or installing an IPA file, with the 0.9.44 or the 0.9.43 I get an error message saying “http-win.cpp:160 Peer certificate cannot be authenticated with given CA certificates” and “SSL certificate problem: self signed certificate in certificate chain” Please help. Thank you. Hello, Tony. Which app do you want to install? I am trying to re-install the Electra1131-1.0.3-vfs jailbreak and I’ve still been getting the same problem that it seems other people are encountering too. I tried to install it again (1:45pm PST) and it still gives me the same issue so I’m not sure if the fact that the servers when down is the problem but I will try again later to see if the servers come back on. I am trying to re-install the Electra1131-1.0.3-vfs jailbreak. A fix is coming soon. It turns out the signing server went offline a few hours back. Try again, it should work just fine now. Can i have online jailbreak solution? Yes, which version are you on? If you are on iOS 11.2-11.4b3, read this. Exactly you will have ! 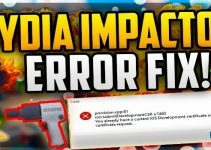 I had so many Cydia Impactor errors when I’m jailbreaking from PC jailbreak method. So I switched into a no PC jailbreak solution. I found an easy way to jailbreak my iOS 10.2. I downloaded the IPA from Silzee jailbreak website. It doesn’t require any Apple ID and Cydia. Are you getting the hpp error? Welcome, lelouch. Glad it worked for you! Thank you SO much!!! I have been dealing with this issue for hours and you totally saved the day!!! It worked perfectly!!! Using ipad mini air. Ios 9.3.5 . Using windows. It seems like the date and time om my pc and ipad are synchronized. Please Please help how to fix this? What is that IPA supposed to do? And is the time on your PC correct? If not, try fixing that up first. This IPA supposed to help me install fortnite. The reason I am trying to install the game this way, is because the game doesn’t support iOS 10 or lower, and guides on the internet show that it is possible to install fortnite on iOS 9 using IPA. And yes, the time on my PC and iPad are correct. Please do you have any suggestions on how to fix this problem? No, it’s not possible to run this game on iOS 9. You must have visited some fake websites. Did this fix not work for you? Wow thanks a lot it worked.I would never solve this without your help,your the best! oh wow it worked thanks i actually kept older versions of “Cydia Impactor” and it paid off. i have the Impactor_0.9.38, Impactor_0.9.43 and Impactor_0.9.44. so thanks again bye. Thank you so much… after lot of searching for solution this one helped. Great work and thanks again for your post. Which app do you want to install? When I click on revoke, the hpp87 error appear.. I just wanted to unjailbreak my iPhone, but I cant open my Cydia.. The error appears on the older version? Also, you can download Yalu from any installer like Panda Helper. Glad it worked for you, Pond. This means you don’t have anything that currently signed on your iPhone. I followed step 1-5 and after I click the latest version 0.9.44 and drag R70.ipa in the box, it gives me an error “installer.cpp.62 application already installed as incompatible team” Please help how to fix this? This means the app is already present on your device. Delete it and resign it with Impactor. Did you revoke the certificates? Here’s the fix for that error. Thanks so much this fixed it right up, bookmarked this page for future reference much love! Congratulations! I had read on other forums, but only with your explanation that I did. It works for me. Tks! Wow what a pain having to use two different versions of Cydia Impactor. Thanks for the assistance. Using 0.9.43 to revoke and 0.9.44 to install worked for me. Yes, you are right. Hopefully, Saurik will fix this in a future update. Which jailbreak tool are you using, Chris? worked perfectly. thank u guys. But did it work afterward? Thank you so much! Took me a half day to find an answer. Thank you sir! Are you using an older Impactor version? help. i need filza signed, but i have electra on there. then it gives me error that i already have certificate for filza out there and i know it needs to be revoked, but it’s going to revoke my certificate for electra too, and delete it, right? what do i do to get filza on there? THANKS! Glad I keep all old copies just in case! I revoked the certifcations from the previous version of cydia impacter and installed the latest verson. When I try to drag the yalu beat 7 IPA to cydia impacter IT WONT LET ME. Please help I want my jailbreak back. Is it displaying an error? Same. Old cydia impactor detects phone to revoke certificates, but neither old or new impactor detect the phone to drag the JB file to it. Keeps saying to select device, but no devices show or let me select. updated drivers and itunes still not recognizing device. A new alternative to Impactor is under development and will released after 2 weeks. It worked perfectly!! Thanks so much!! It worked fine, very good, congratulations! Thanks Alot worked perfectly! i was going crazy though something wrong with my device itself! fixed but how can i get the final untethred jailbrak to replace this one ? 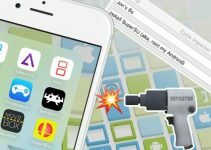 Which jailbreak tool are you using? Did everything listed here and now get cpp:42 error. But it’s the same ipa and ios that it installed just fine on before the recent updates. Also tried installing extender and that didn’t work either. I try signing an app, but it keeps getting stuck on complete and I cannot verify my dev cert. Is there a fix for that? Once it says “complete”, it will likely be installed on your home screen. Certificate can be verified again once you revoke them from Impactor. Thank You very helpful, keep up the good work. Use a new throwaway Apple ID.